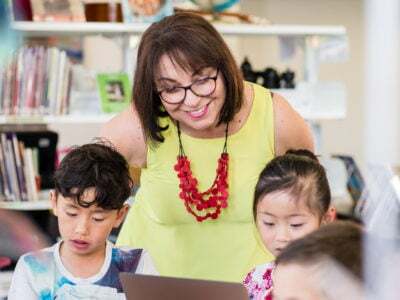 This guest post has been written by Megan Koop, a classroom teacher at Blakeview Primary School located in the Northern Suburbs of Adelaide. Megan is also a Makers Empire Ambassador. Blakeview Primary School is a growing school with well over 600 students currently enrolled. Last year, my Year 2 students had identified that there weren’t enough places for them to play at recess and lunch times. We decided that we wanted to design a new ‘Nature Play’ space for our students. 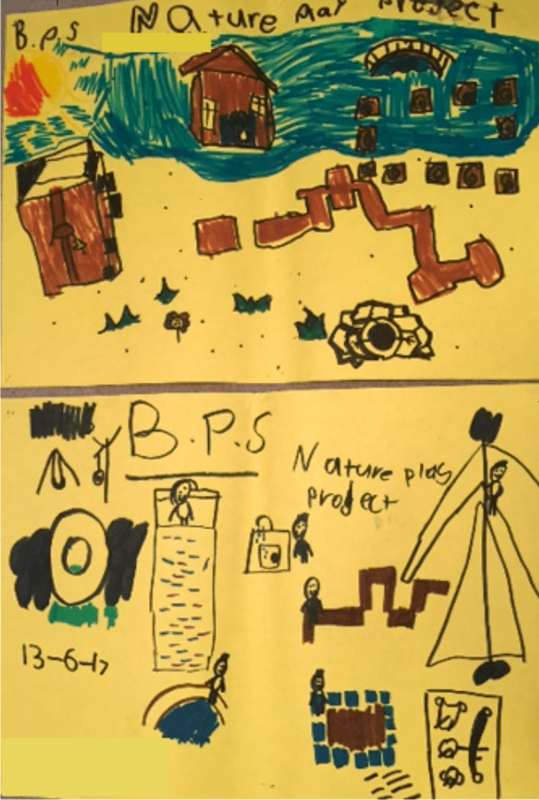 The initial planning and generation of ideas came from the whole school. We sent around a survey for classes and teachers to record their ideas to be considered. We received a huge list of responses and even some drawn maps to guide our planning. From this, we then tallied up the suggestions to find the most popular ideas. Students worked in pairs on a chosen element from our list and drew up a plan for what they thought it should look like. They were given lots of freedom with the creativity of their designs and only reminded to consider the safety requirements of play spaces in schools. 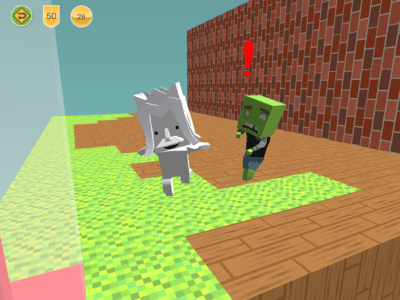 Once their designs were drawn, the students then used the Makers Empire 3D design app to turn their plans into 3D digital designs. This was completed over 2-3 lessons. 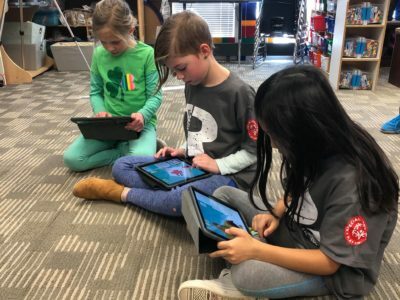 To create their designs most students used Makers Empire 3D’s Shaper module to layer shapes upon each other or the Blocker module when creating the mazes and stepping stone paths. 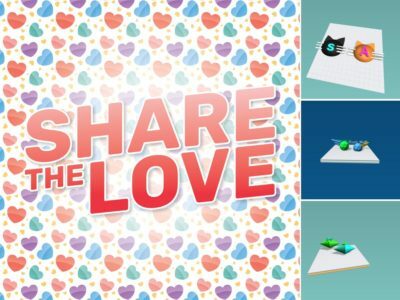 Previously, students had only small exposure to the app and had completed some of the step-by-step challenges to learn the different capabilities of the app. By working with a partner, the students were able to troubleshoot any problems together and required minimal teacher support. Once completed, the designs were then reviewed by the class and we participated in a peer assessment process where feedback was given on what we liked about the designs and then also suggestions for improvements. Students were given one more session to review and finalise their designs based on the feedback given. Our completed designs were printed in our UP Mini 2 3D Printers. With three printers running at once it only took us a couple of days to print all the 3D models. We shared our designs in a whole school assembly with students, staff and parents in the hope that some of our elements might be able to be built with a small budget. Conveniently, at the time we were printing our designs we had heard about the Government’s ‘Fund My Neighbourhood’ initiative which allowed for community members to propose ideas they would like to see funded in their local area and if the idea received enough votes by the community then the funds were awarded for that project. 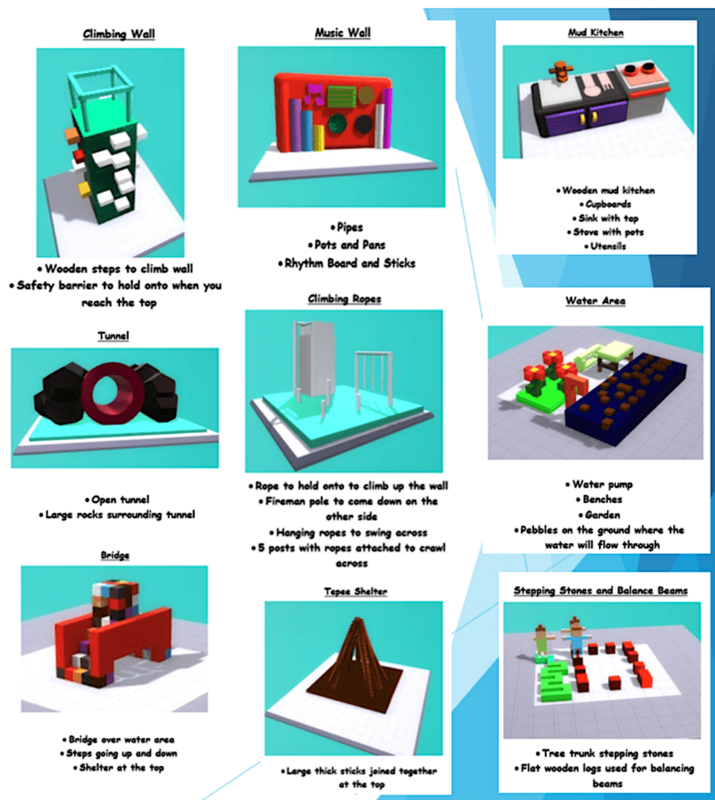 We decided to submit our idea and encouraged our school community to vote for it to be built based on our 3D printed models. Amazingly, we received the votes required and were awarded $80,000 to have our space built which can be used by community members outside of school hours too. We felt extremely lucky that we could create a large enough space without the budget constraints that a school often has. We met with a landscaper who was very impressed that we had some 3D printed models for him to base his suggestions on for the space. He then developed our ideas into a mapped plan and once we were happy with the plan, the building commenced. It took about three months altogether. We held an official opening ceremony in April this year. We invited our local MP as well as our governing council chairperson and landscaper responsible for the build. Along with two students who were involved in the project, we all cut the large red ribbon and finally declared the space open. Students were thanked for their efforts last year by our principal with a permanent billboard fixed to a fence nearby. It was very rewarding to then round up all my students from last year who were surprised with the very first access to the area to test it out. The final product included all of the elements we wanted including a climbing fort with ropes and a plank, a seating area large enough for a class to use as an outdoor classroom learning space, a mud kitchen, tepees with sticks to build with, a water pump with water flowing through a creek-like bed, a sandpit, tunnel with a hill grass mound, two music stations and log stepping stone areas throughout the space. I have seen numerous benefits from our ‘Nature Play’ project and other 3D printing learning we have undertaken at Blakeview Primary School. 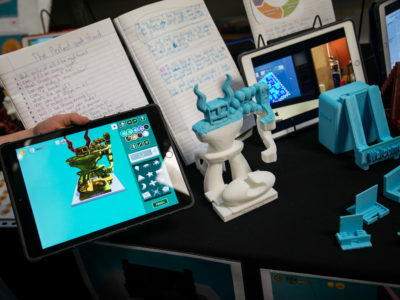 During our 3D design lessons on the iPads using Makers Empire, the most significant benefit I have noticed has been the increase in student engagement. I have witnessed an increase in teamwork and positive interactions between students, which involved the sharing of learning and discoveries between groups. Students were able to work together to collaborate on projects and use each other’s varying strengths. They offered guidance and gave each other constructive feedback on what they liked about other designs and gave helpful suggestions for improvement, which promoted the persistence required to perfect their designs. Students also developed their spatial awareness through the ability to transfer and manipulate their 2D design plans and reproduce them into 3D design models. They needed to be able to visualise and manipulate shapes, rotate viewpoints, change sizing scales and consider the positioning. The success and accomplishment that was felt by solving a real-world problem with our ‘Nature Play’ project was incredible. The students that were involved feel a strong connection to the space and are proud of how their small idea and hopes turned into something real that could be enjoyed by the whole school and members of the community. 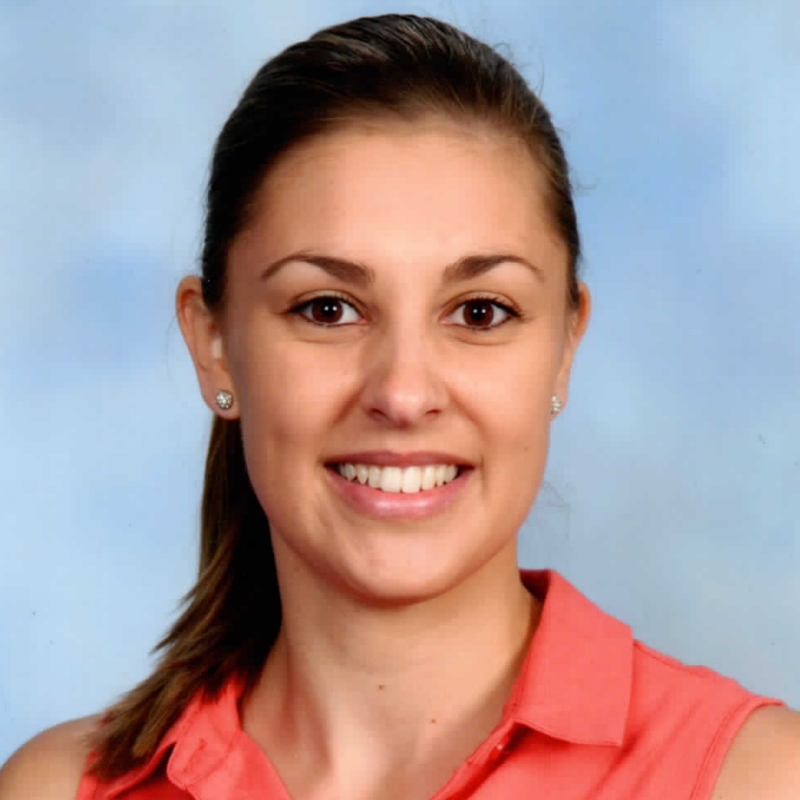 Megan completed a Bachelor of Education in Junior Primary and Primary with honours in 2013. She is currently a classroom teacher at Blakeview Primary School working with Year 2 students. 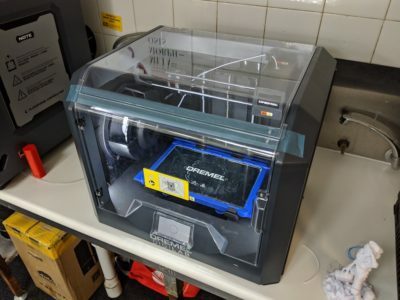 After being involved in the 3D Printing in Primary School Project with Maker’s Empire in 2017, she has been able to successfully incorporate 3D design and printing into her teaching at Blakeview Primary School. Megan has mentored and encouraged colleagues to undertake the same learning through her training and guidance. 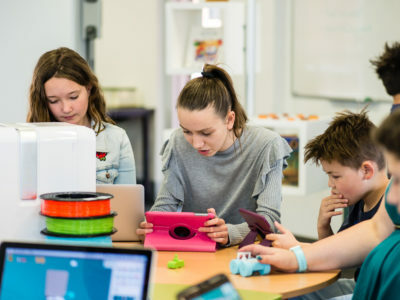 Following the success experienced during the project, Megan was invited to speak at the ACCE conference in 2018 about her learning and 3D design and printing experience.